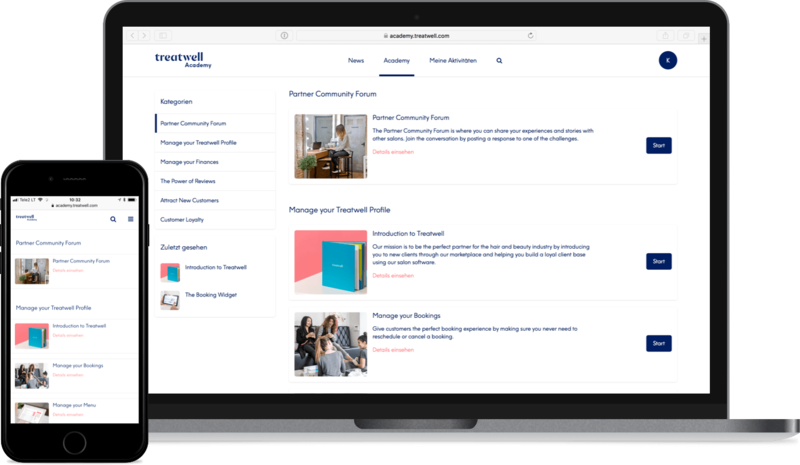 We know that running a salon can be busy, that's why we have created the Treatwell Academy, an online hub bringing together all you need to help you get the most out of your business. From recapping the basics of your Treatwell Connect software, to keeping you up to date with beauty trends, the Treatwell Academy supports you to grow a successful business. Step by step guides to take you through all you need to know about Connect. From social media to how to look after your team, get the lowdown from our team of specialists. Be a fly on the wall and see how other Treatwell salons make customers glow.